Lake Mburo national park (371sq km) is known as the ‘Home for Zebras’. The park’s well developed Acacia woodland harbors a number of wildlife species and it is the best place in the country to see the gigantic eland antelope, as well as topi, impala and several acacia-associated birds. Lake Mburo is the largest of the five lakes found in the park, which together attract hippos, crocodiles and a variety of water birds, while the swamps hide sitatunga antelope. Location: Lake Mburo NP is the only Ugandan National Park to contain an entire lake. Situated in rolling green hills and open grassy valleys the park also consists of four other smaller lakes. The land area of the park is compossed of open and wooded accacia savannah. The park size including the lakes is 256 sqkm. Lake Mburo tourism activities:Game viewing, boat ride on Lake Mburo, sport fishing, and Bird watching. Much of the land area of the park is acacia tree savannah. The park is home to the largest diversity of both plant and wildlife of all Uganda’s national parks. The park is home to herds of Impala, as well as the more uncommon Topi, Eland, and Klipspringer. Burchells Zebra and buffalo also graze these areas. 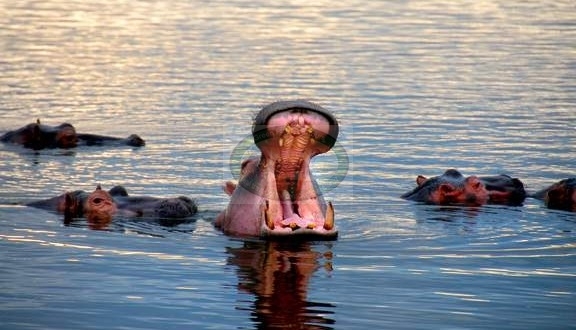 Hippo is very common in the lake where they may be observed from several vantages along the Lakeside Track. Much of Lake Mburo is surrounded by giant sedge cyperus papyrus reeds. This is home to the Papyrus Gonolek. To see this bird consider organising a boat trip. Of 357 bird species recorded some of these include both water, acacia and savannah birds like crested crane, the very rare shoebill stork, marabou stork and bronze-tailed starling, bee eaters and even more exotic birds like Blue NapedCoucal, Bare-faced Go-Away Bird, Nubian Woodpecker and Swamp Flycatchers. Pennant Winged Night Jar is often seen during it’s migratory period at the Education Center campsite at dusk. When to visit: Any time during the year. Join Green Hills Ecotours about our Uganda Safari holidays; culture Tours, Gorilla trekking.